If you are a homeowner in the South, you understand that the palmetto bug is an inevitability. You can keep the cleanest yard and the cleanest home and you are still going to run into them on occasion. 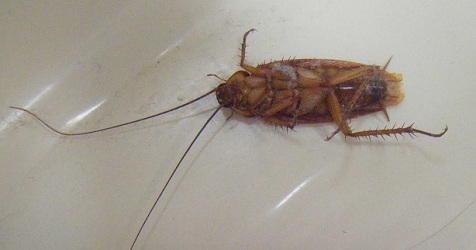 However, if you are finding them multiple times per day, you may have a palmetto bug infestation in your home. If left untreated, a palmetto bug infestation can destroy the value of your home and even damage it so badly that it may have to be condemned. Here are a few common sense things you can do to reduce the chances of a palmetto bug problem. For more information, contact your West Palm Beach pest control experts. First off, survey the area around your home. Look for common breeding and feeding areas for palmetto bugs. Do you live near the city dump? Do you live in an area filled with restaurants that have dumpsters that aren’t emptied frequently enough? Are there homes on either side of you that have long grass and unkempt lawns? These areas are prime breeding grounds for palmetto bugs. While there is little you can do to convince the restaurant next door to keep a cleaner perimeter, you can call your local pest control expert and have your home looked at and treated for palmetto bugs. On your own property, consider adding locks to your trash bins. If they are getting knocked over or dug in by neighborhood animals, the leftover mess could easily attract palmetto bugs to your property. By taking away their most obvious source of food, you will make the palmetto bug work that much harder for a meal. You can also keep your garbage in your home covered and sweep up spills as soon as they happen. One common food source for palmetto bugs is spilled ingredients in your cabinets. Take a Saturday afternoon and wipe out spilled sugar and salt and you could see a difference in the number of bugs you have. If these tips aren’t reducing the number of palmetto bugs you see, consider calling Gulfstream Environmental Services for more help. Since palmetto bugs generally don’t bite, they often aren’t considered to be as hazardous a pest as bed bugs or fleas, but no bug makes a bigger mess of your home faster than a palmetto bug. Save your home and get some peace of mind by calling your West Palm Beach pest control experts at Gulfstream Environmental today. Man I hate bugs! I certainly didn't like that picture.. haha besides the fact that it was dead!